Established in 2010, Action Drill & Blast is one of Australia's fastest growing drill and blast companies serving the mining, civil and coal sectors. We have grown on the merit of our performance, building great teams to deliver on our expanding portfolio of drill and blast projects. 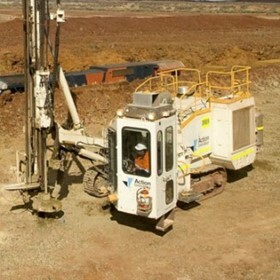 We employ in excess of 350 personnel experienced in all commodity ground conditions encountered in Australia including hematite, magnetite, coal, gold and nickel, and have a drill fleet of over 34 drills. We work hard to cement our reputation as a respected and trusted provider of safe and efficient drill, blast and ground support services. We build long term relationships with our clients, always pursuing opportunities to provide innovative solutions to safety, efficiency and cost effectively deliver the best results.